The monthly basic salary for civil servants, public employees and those working in the armed forces will be raised to 1.3 million VND (57.16 USD) from July 1, following the newly issued Decree 47/2017/ND-CP of the Government. 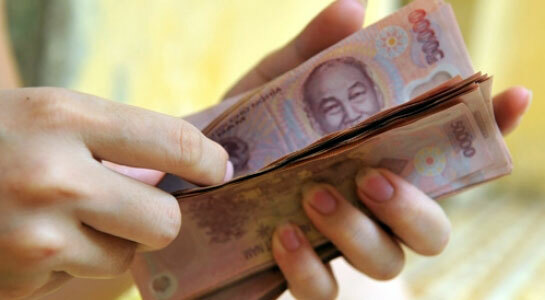 The change means an increase of 90,000 VND (3.96 USD) from the previous one. The new basic salary will be applied to those who working in agencies, organisations and non-production units of the Party, the State, political-social organisations and associations receiving funding from the State budget, along with the armed forces. The basic salary is used as the basis for calculating salary, allowances and other payments regulated by the law for the mentioned groups. It will also be applied for calculating operating expenses, living expenses in line with legal regulations as well as other deductions and entitlements. The increase in basic salary for those targeted groups is stipulated in the resolution on the State budget passed by the 14th National Assembly on November 11, 2016./.